EHA is a non-profit making community based organisation run by volunteers for the benefit of its members. New members are always welcome; membership is open to all from £2 per annum. 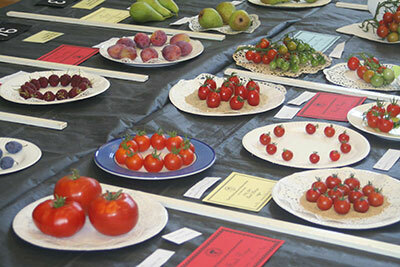 Members are encouraged to participate in the 3 annual Shows by exhibiting their own produce of flowers, fruit and vegetables plus crafts & design and photographs. The Shows are held at Blenheim High School, Longmead Road, between Ewell and Epsom, which offers onsite car parking plus fully accessible facilities. Everyone who has attended our Shows has seen the stunning floral arrangements and almost certainly enjoyed the refreshments and delicious homemade cakes. The Association also offers an annual programme of talks and trips for members, plus an opportunity to purchase good quality, locally grown, summer bedding plants at advantageous prices. Click h er e for the Order Form in PDF fprmat. Members are entitled to discounts from 3 local companies Court Farm Garden Centre at Worcester Park, Beechcroft Nursery on Reigate Road, F Giles at Chessington Garden Centre, and also purchases of seeds and other plants from Dobies catalogue. 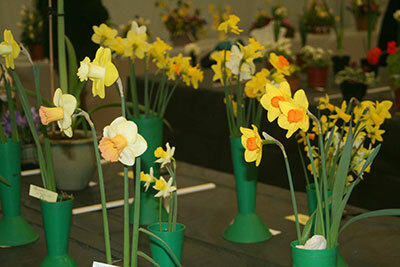 The Ashtead Park Garden Centre now offers members a 10% discount on plants. To receive this discount members must show a current membership card at the tills. The centre offers quality bedding plants, fruit trees, bulbs, flowers, seeds, seedlings, trees and shrubs, sourced locally and hand selected from nurseries whenever possible. Newsletters on our activities are sent to members 4 times per year. Our AGM is held in March. The minutes of the 2017 AGM were approved in 2018 and can downloaded here. The draft minutes of the 2018 AGM can be downloaded here. Individual membership to the Association costs £2.00 per year. Newsletters and other publicity is delivered to members by a team of road stewards. For those roads where we do not have stewards, we offer 'postal memberships' or 'email memberships'. 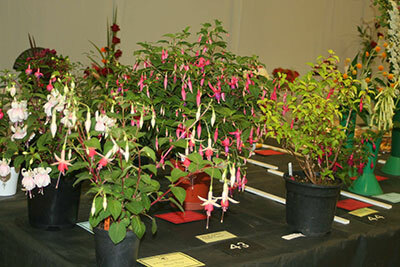 Email membership to the Association costs £2.00 per year and newsletters are emailed to the member. Postal membership to the Association costs £5.00 per year. For more information, please email our membership registrar registrar@ewellhortassn.co.uk. You are welcome to join at any of our events. The Association holds a record of members' names and addresses on a personal computer database. Information will be used by the Registrar for administrative purposes only and will not be disclosed to any other person(s) or organisation(s). Many members help at our events. If you would like volunteer, please do so by contacting any committee member. We would love to hear from you. See Contacts Page.